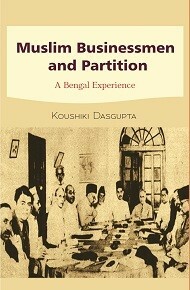 Dr. Koushiki Dasgupta is Assistant Professor of History, University of Gour Banga, Malda, West Bengal. 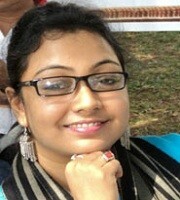 Secured the position of First Class First with Distinction marks in Post Graduate Examination; she has done her doctoral research on minor political parties in late colonial Bengal. Currently working on a research project on Hindu political discourse in Bengal funded by the ICHR, New Delhi, she received the Charles Wallace Trust, London, Research Grant in 2014 to conduct research in UK. Received Associateship in the Indian Institute of Advanced Study, Shimla in 2015 and ICSSR foreign travel grant to present paper in IFSSO conference in Istanbul, 2013. She has taken part in different national and international conferences and participated in literary festivals in India as a poet too. Apart from a numbers of published research papers, she has a book titled Minor Political Parties in Late Colonial Bengal Politics1921-1947, Abhijeet Publications, New Delhi, a book of poems in Bengali and a booklet of poems in English.Her special areas of interests are literary history, communal politics and gender studies.